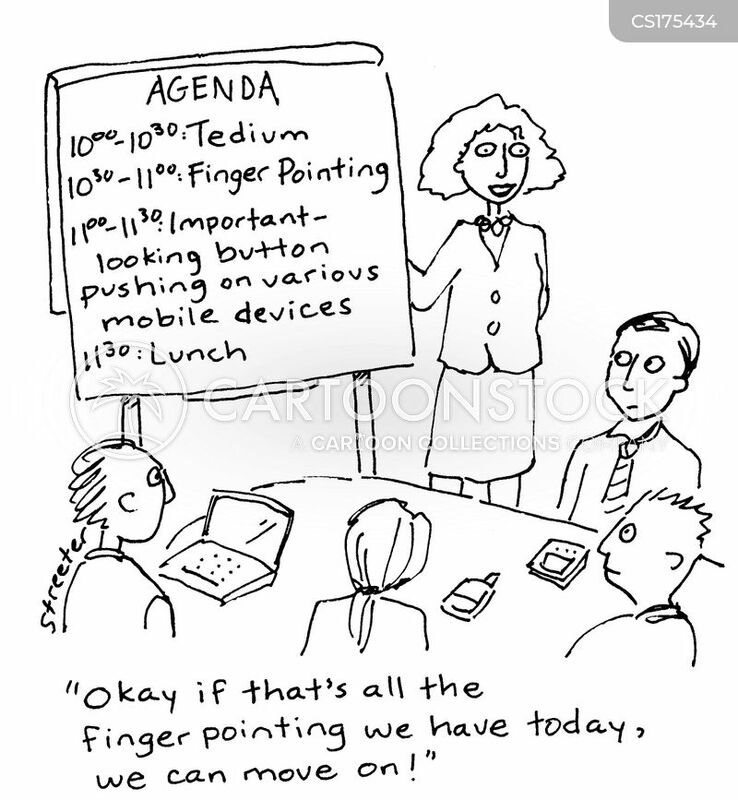 "Okay, if that's all the finger pointing we have today, we can move on!" 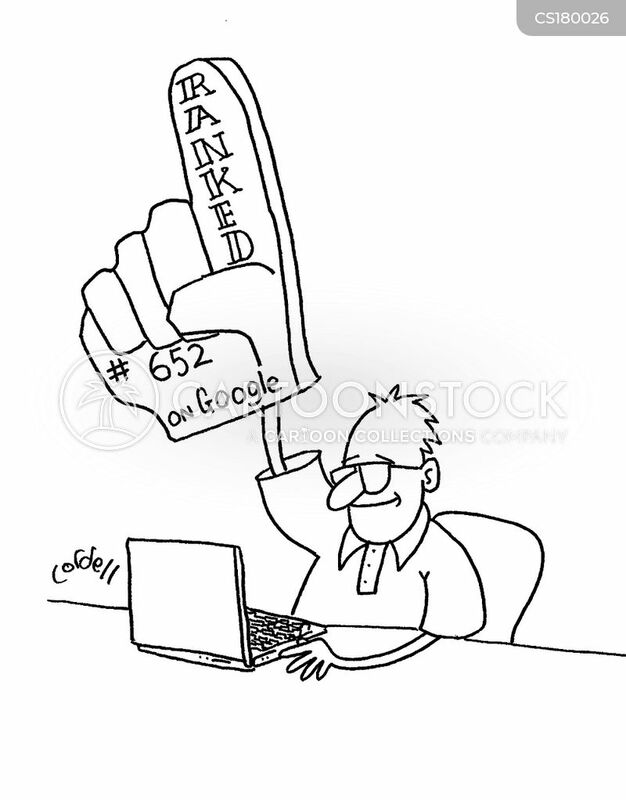 Man celebrates his Google ranking. 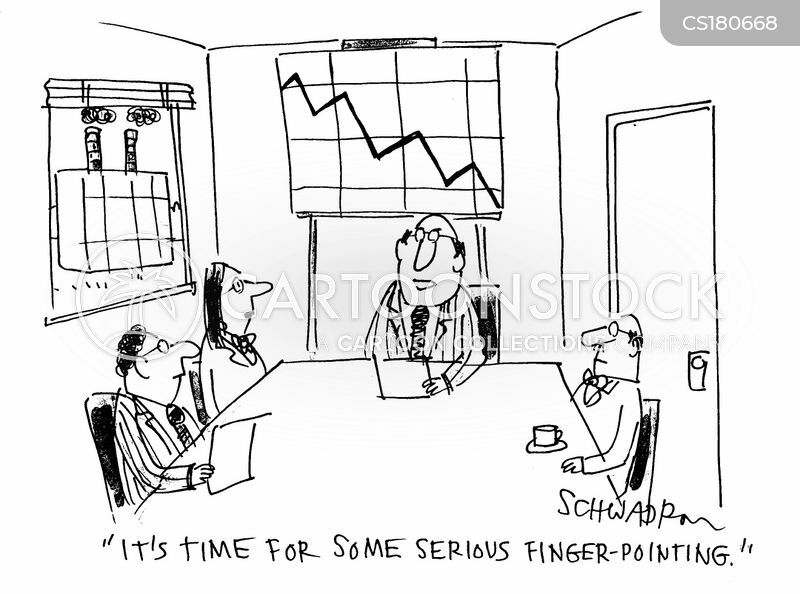 "This Tyler project is going nowhere. 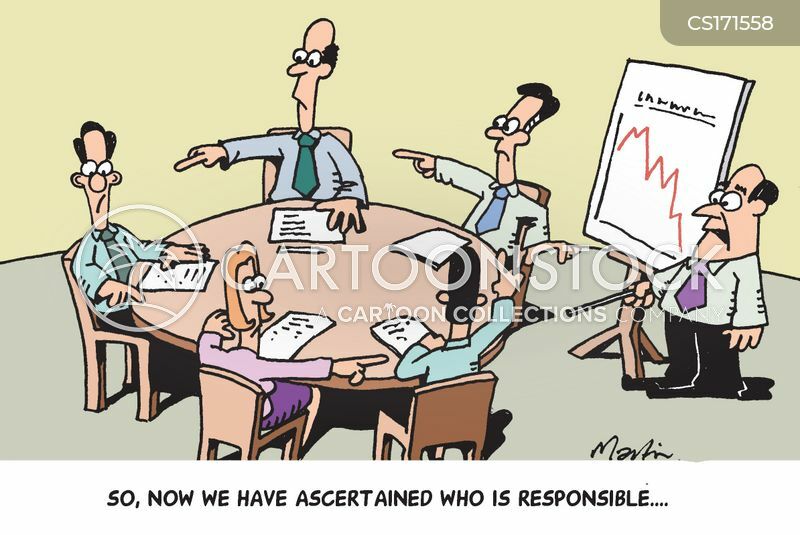 Let's bring in more people so we can further spread the blame." 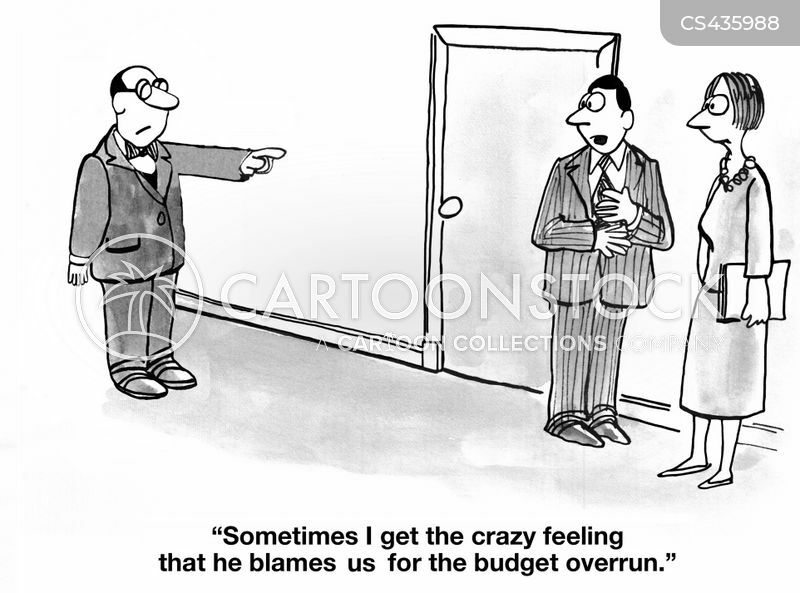 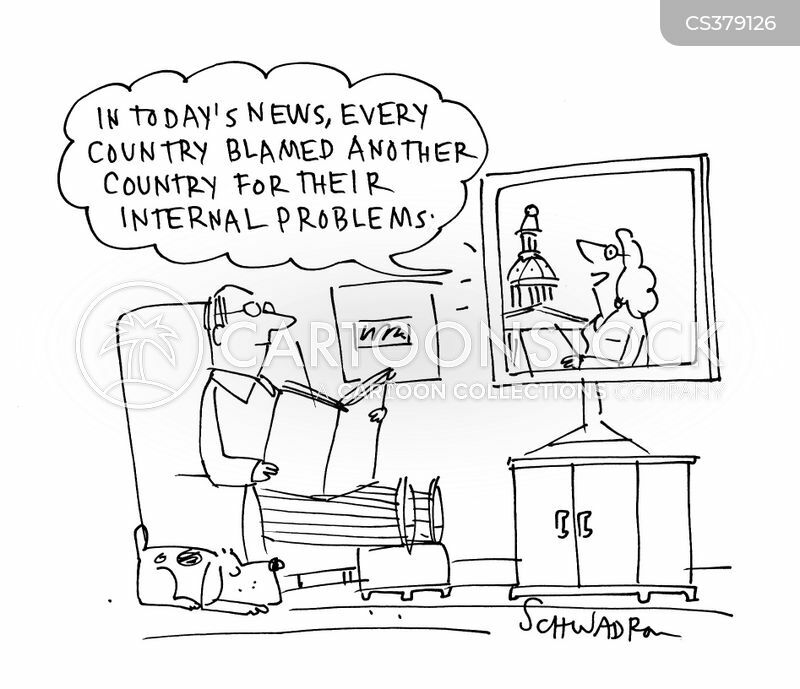 "Sometimes I get the crazy feeling that he blames us for the budget overrun." 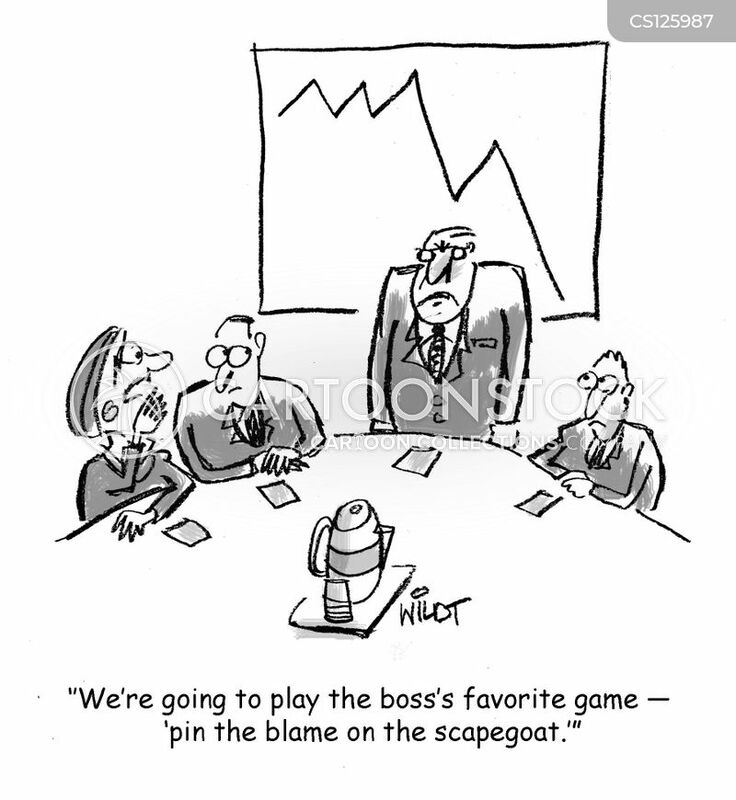 "We're going to play the boss's favorite game - 'pin the blame on the scapegoat.'" 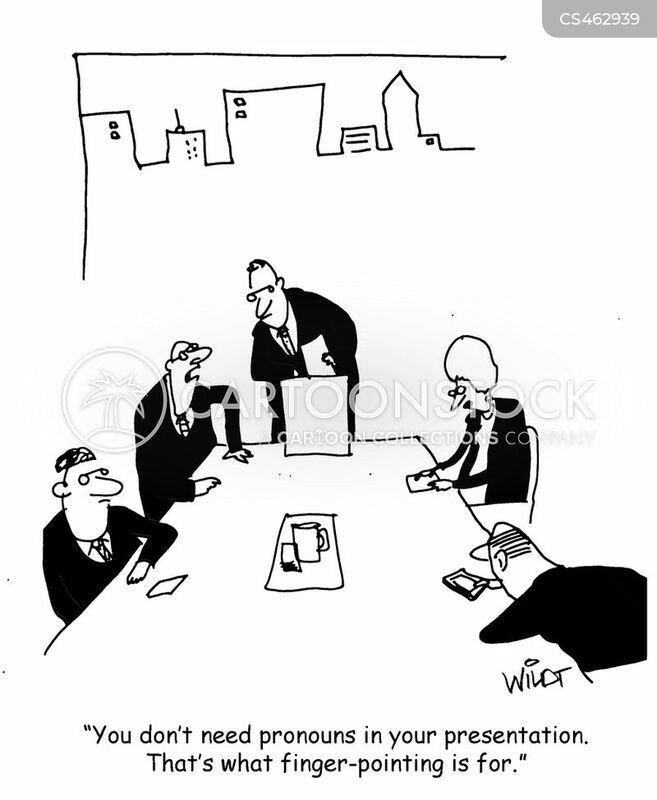 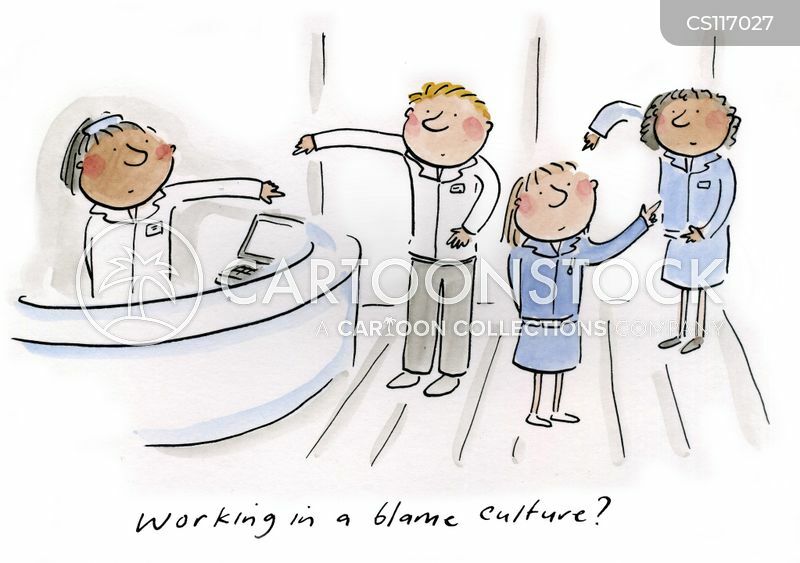 Working in a blame culture? 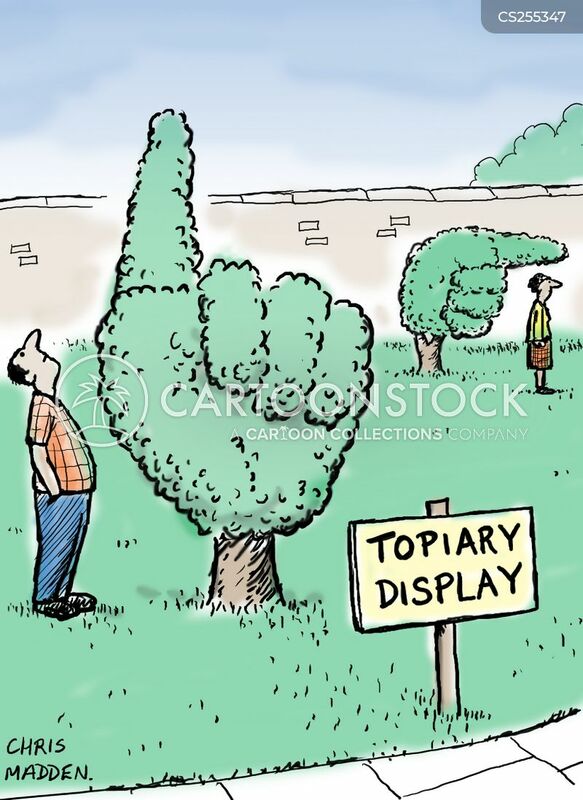 Topiary bushes in the form of pointing hands. 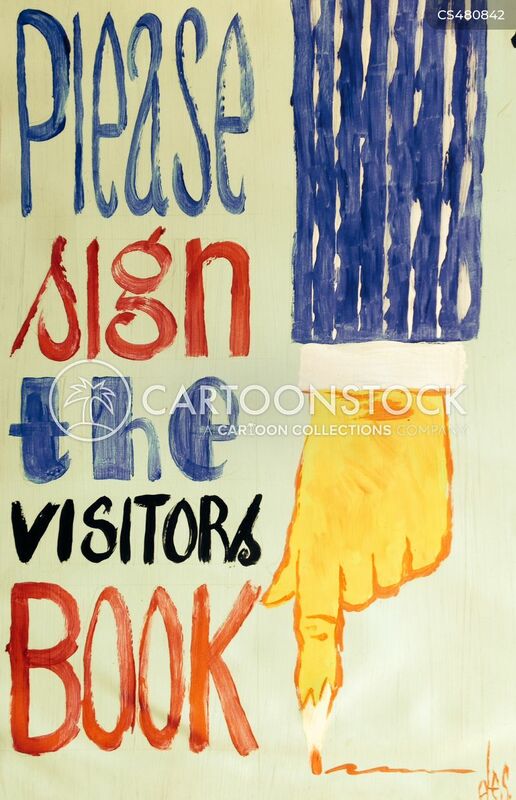 People are looking in the directions that the fingers are pointing. 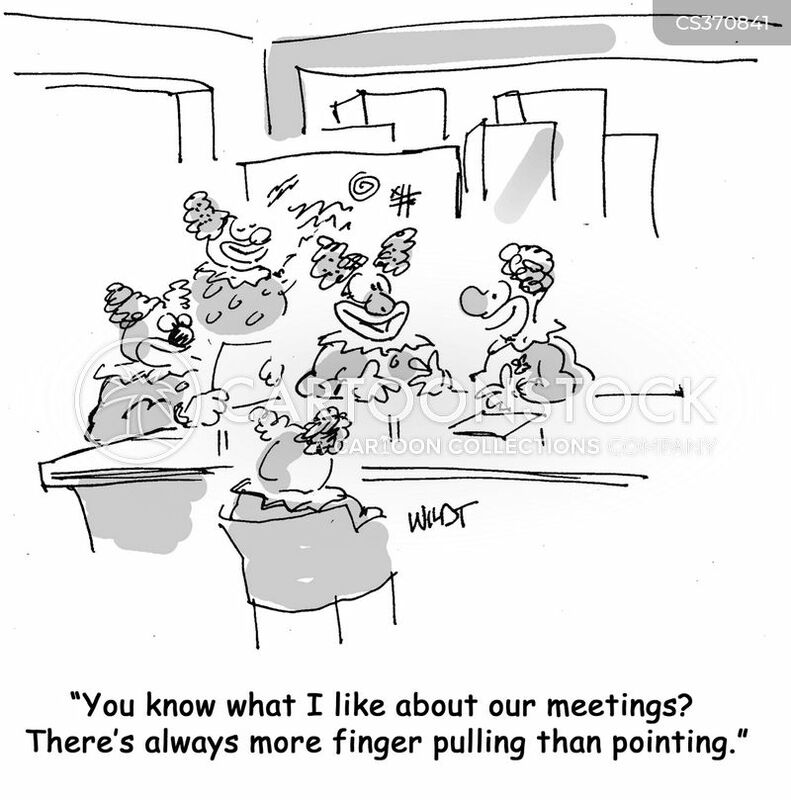 You know what I like about our meetings? 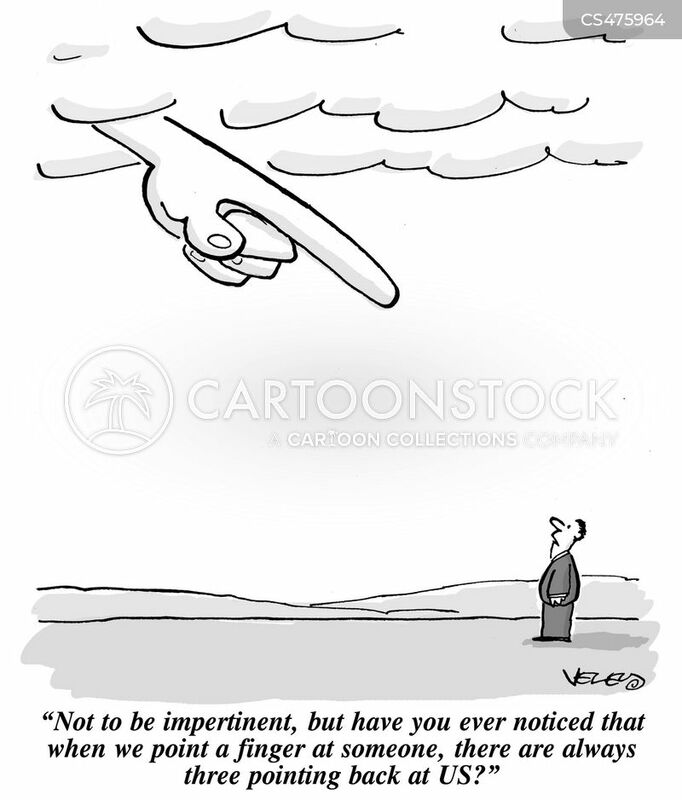 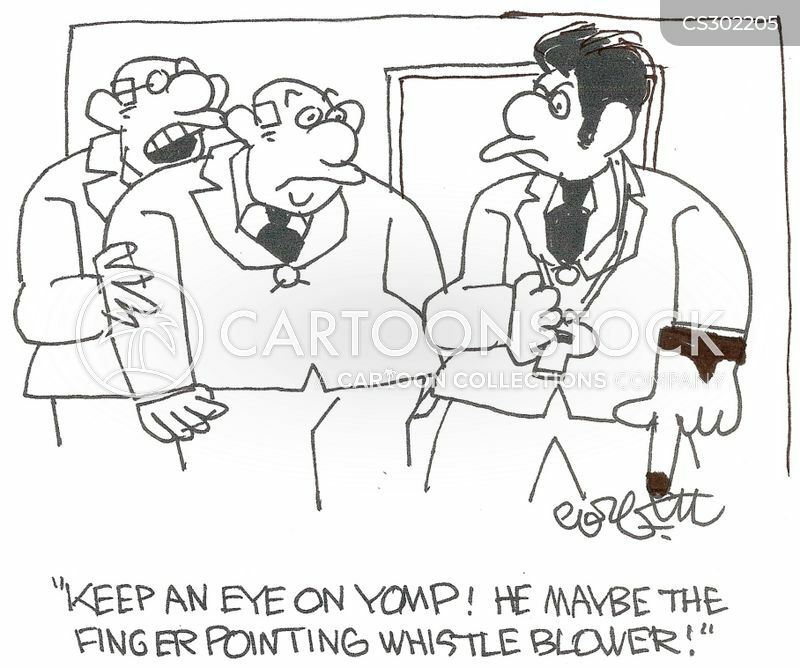 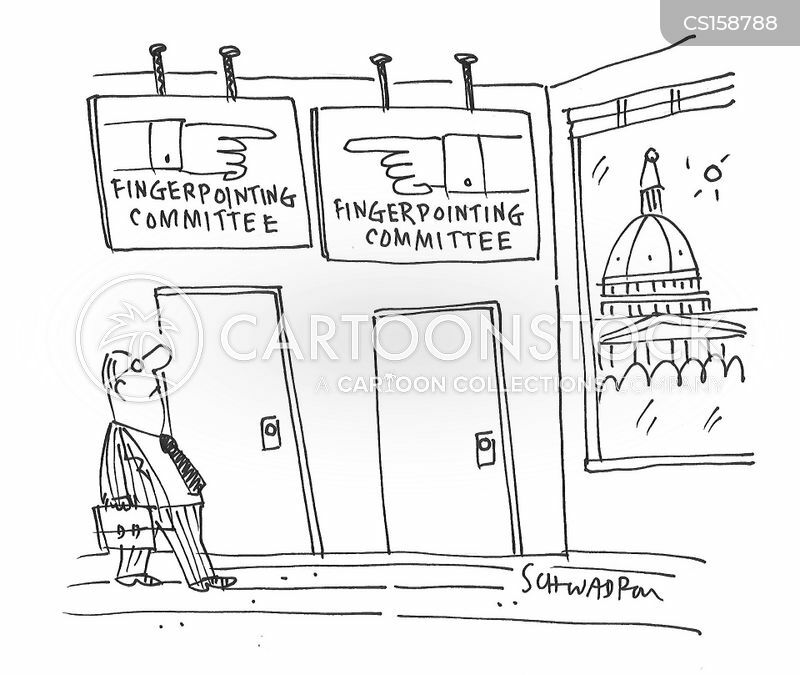 There's always more finger pulling than pointing. 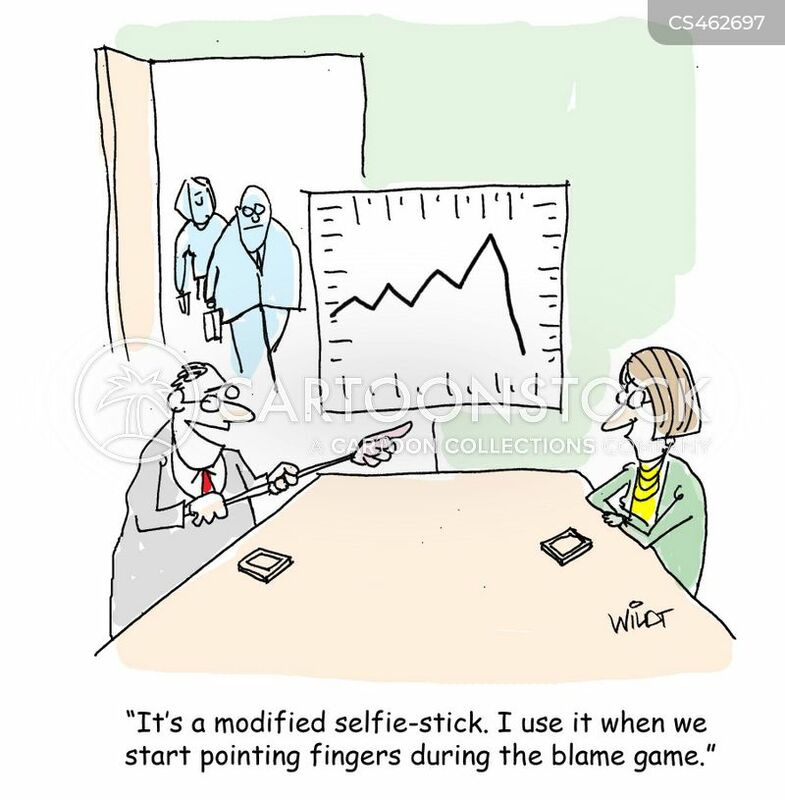 "It's a modified selfie-stick. 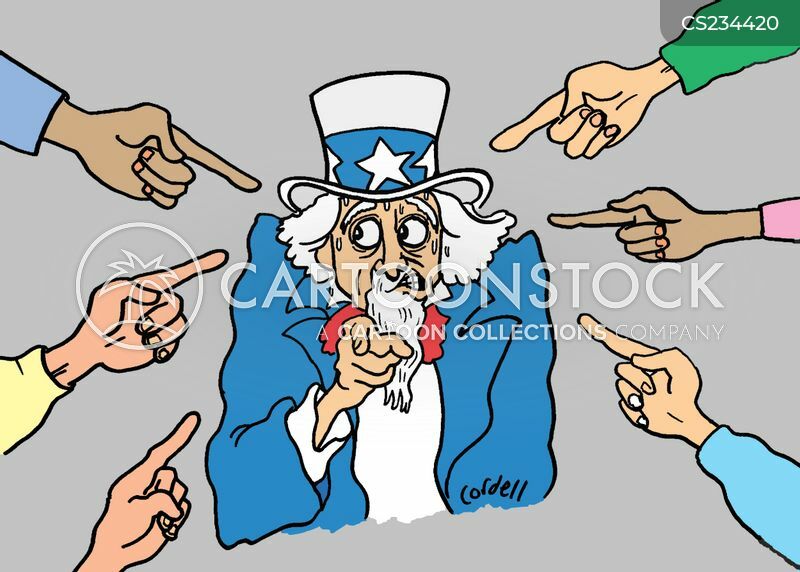 I use it when we start pointing fingers during the blame game." 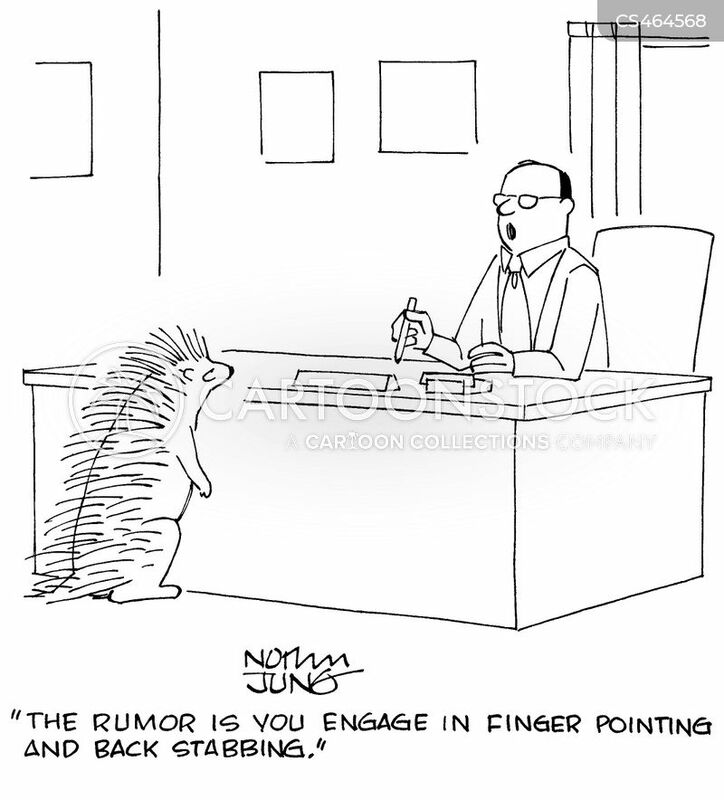 "The rumor is you engage in finger pointing and back stabbing." 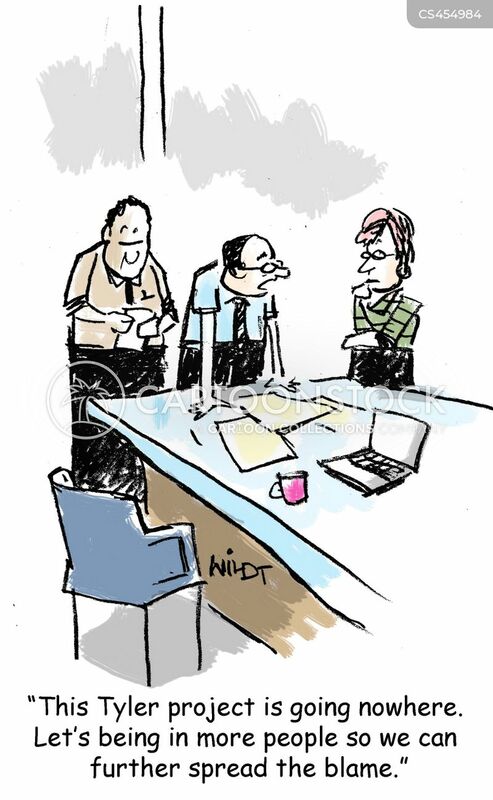 "You don't need pronouns in your presentation. 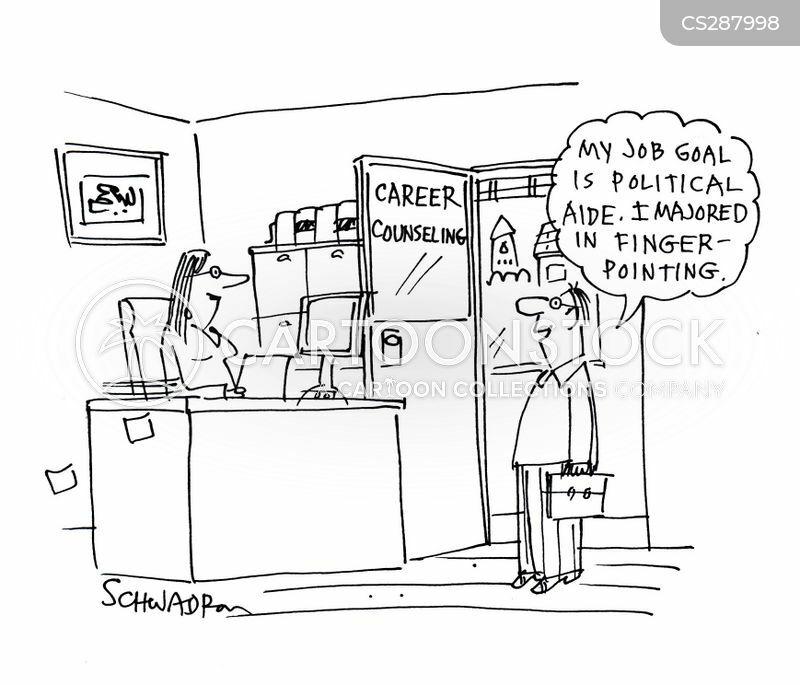 That's what finger-pointing is for." 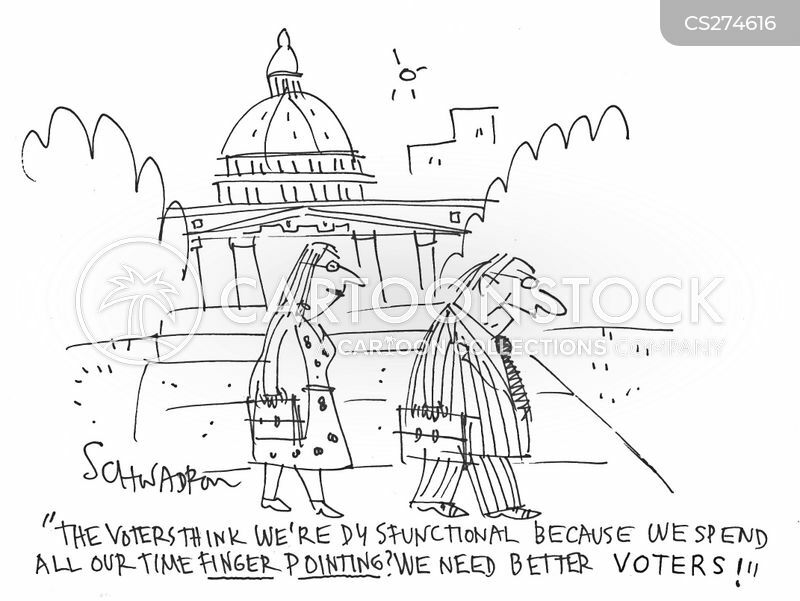 "Not to be impertinent, but have you ever noticed that when we point a finger at someone, there are always three pointing back at US?"